James Cioffi passed away suddenly on December 24 at the age of 60. 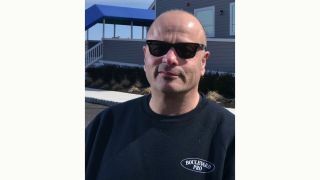 A leader in the professional audio/contracting industry, he co-owned Boulevard Pro of Lyndhurst, NJ, a tour sound/sound reinforcement company along with twin brother, Anthony. Cioffi was a hardworking, well-liked systems contractor who had many friends within the industry, both customers and manufacturers alike, and installed numerous sound systems in houses of worship, theaters, restaurants, and educational facilities. Cioffi’s company recently joined forces with Carroll Musical Instrument Rentals to create East Coast Entertainment Group, providing full-service backline and audio rentals, seven modern production/rehearsal studios, storage, and production management services. Cioffi is survived by his children Brian, Christopher, and Lauren; his granddaughter Sophia; sister Irene Whitfield; brother Anthony; and girlfriend Kate Sanders.